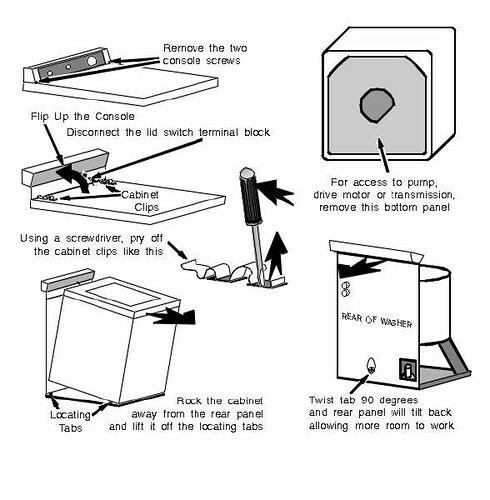 what is the best way to get to the lid switch on a kennmore washer, model # 110.28812790. It looks as if I need to remove the whole outer shell. You are correctum! The technique is illustrated below. If you need more verbose instructions, come hither. This entry was posted in Washer Repair on May 16, 2007 by Samurai Appliance Repair Man.